Although I do not write very many posts on Preservation in Mississippi anymore, it is almost a tradition for me to begin the New Year with a News Roundup. It is a way to clear out the old news (generally bad) to make way for some better historic preservation news in the coming year. Perhaps 2017 will be the year where nothing historic is demolished, burns down, or destroyed by weather and all of Mississippi’s historic buildings are restored (exteriors and interiors) with vinyl windows and siding banned. Hey, a historic preservationist can dream, right? There are a couple of articles of news from the last two months in Aberdeen. Malvaney reported on the annual Community Heritage Preservation Grants (CHPG) awarded at the beginning of December. I always enjoy those grants getting publicized in local news outlets. One of the grants was for continued work on the Aberdeen Mobile & Ohio Railroad Depot, which was reported on by the Monroe Journal. 2016 was the year the grant amount for the depot went to the big time as $160,000 was awarded for reinforcing the building’s rear section, squaring up the building, insulating it, and finishing the freight room. Through the first decade of work on the depot, only about $12,000 has been awarded at any one time. For the current grant, the City of Aberdeen will provide $40,000 in matching funds in the next three years. 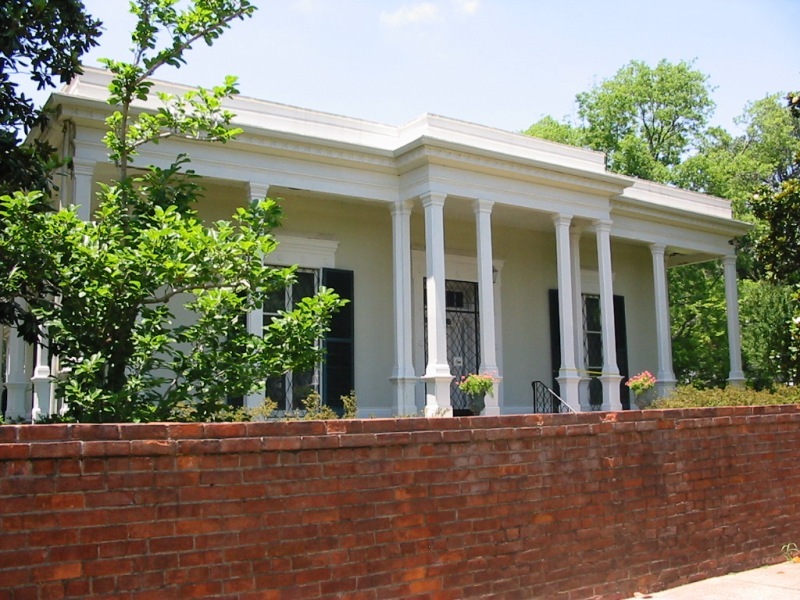 The article mentions that Belinda Stewart Architects of Eupora is working on the restoration, which means that it will be of the usual highest quality seen in all of that firm’s work. The Monroe Journal also reported in the article “Aberdeen Historic Preservation Commission receives grants” that the Aberdeen Historic Preservation Commission has been awarded two Certified Local Government (CLG) grants for ongoing projects to get the segment of South Matubba Street from Commerce Street to Highway 45 listed on the National Register of Historic Places and create design review guidelines for downtown Aberdeen and Silk Stocking Row on South Franklin Street. The amount awarded to Aberdeen’s HPC was not reported in the article. The Panolian reported, “Restaurateur seeks old City Hall space” about plans to lease out Old Como City Hall for a seafood restaurant. Old Como City Hall is at 204 Main Street across the street from Como’s nice historic commercial strip. Como Main Street Association (CMSA) has been renovating the building for two years, receiving a Certified Local Government (CLG) grant in 2015 for $6,000 to replace the roof and another grant in 2016 for $10,000 to replicate its original fenestration (instead of the cheap vinyl windows and doors it currently is afflicted with). A reroofing project at Brookhaven’s Union Station has been delayed all of December. The Daily Leader article “Depot roof project delayed” states that due to issues at the manufacturing plant, roofing tiles are unavailable for the project. Holmes said there are other companies that manufacturer similar tiles, but made the decision to use to original tile maker in order to avoid any problems later on with the roof. All that makes me believe that they are using Ludowici tiles (though Ludowici is in Ohio, not Indiana). Issues at their plant would certainly have repercussions for historic restoration projects across the country. The waterproofing of the depot’s roof has already occurred, so there should be no issues with water infiltration (unlike the fiasco of Eaton School in Hattiesburg, which is still fiascoing). Delta State University is receiving a new president’s house, according to The Cleveland Current, “IHL allocates funds for new residence.” The current president has never lived in the current president’s house, constructed in 1956 or 1957, with both he and Delta State’s Director of Buildings and Grounds stating that the house is uninhabitable and “run down and full of mold.” The previous president, John Hilpert, must not have known any better since he lived there ten years before leaving the University in 2013. The house is very uninhabitable now, since it was bulldozed and trucked off to Big River Landfill and Bolivar County Class 1 Rubbish Site in November and December. 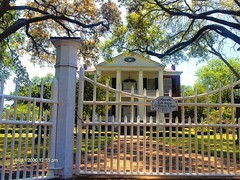 The current president has lived across the street at the 1927 Old President’s House throughout his tenure and will continue to do so until the new house is constructed. Phase one of work to restore the old Columbia Waterworks Building has been completed. I would love to tell you more about the project, but the article “Work completed on first phase of Columbia Waterworks project” is behind a paywall like all of The Columbian-Progress‘s articles with no other news outlets reporting on the work. You can read a little about the project in MissPres News Roundup 1-25-2016. In Starkville, The Columbus Dispatch, “Homestead Center hopes to raise $28K for new roof at Starkville’s J.L. King Center,” Homestead Education Center decided that their Holiday Helping Hand project would be raising $28,000 for roof replacement at the J. L. King Center in Westside Park. The J. L. King Center was constructed as the football field house for Henderson High School, the Starkville’s segregation era African American high school. As has been noted on this site before, School Equalization Building Program buildings (and other African American educational structures) are an often ignored, perpetually imperiled class of historic buildings, so it good to see one in active use getting some attention. Though I would ask where is the City of Starkville when it comes to funding a new roof for this building? There are two articles of news from Grenada. On Friday, December 23 the Jones-Avent House, described as the oldest house in Grenada by The Grenada Star, was arsoned. Located at 370 South College Street, it was supposedly constructed in 1835; though judging by its appearance, it was remodeled in Victorian-ness, probably at the turn of the 20th Century. In 1994, the house was deeded to the Grenada County Historical Society by the Department of Housing and Urban Development through the Grenada City Council and restored for use as a museum. Although the house was repaired, the museum plans apparently fell through. The GCHS is no longer active or exists (note the disintegrating museum sign on the ground in the above Google Street View), and the house has been abandoned for around two decades. 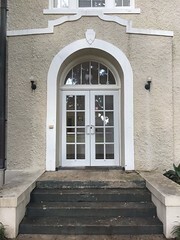 The immediate area around the Jones-Avent House has lost several historic houses in recent years, with others vacant, and is anchored by the long-vacant Lizzie Horn Elementary School. The HPC, even when active, had not been in compliance with the city’s own historic preservation ordinance, only having five commissioners instead of the required nine. By the beginning of December, the mayor and council decided to do something about the situation, appointing ten people on December 12: Glenda Smith, Homer Hughes, India Maner, Cherisha Moss, Cordia Walker, Bobby Biddy, Frank Powell, Ken Kirkman, Jennifer Dickson, and Ward Four City Councilman Ernest Hargrove. With the exception of Biddy, none had previously served on the HPC. Notably, Charles Latham, an active local historic preservationist who spent a decade on the HPC, contributed to multiple successful National Register listings, and received a letter of recommendation from the MDAH, was one of two applicants rejected for service on Grenada’s HPC. That does not seem to bode well for Grenada’s HPC doing anything more than the absolute bare minimum to keep the city’s Certified Local Goverment (CLG) status. The Itawamba County Times ran an article on “Jim Buck Murphy’s Store.” Located in the very small community of Shiloh near the Lee County line, the store is a storage-shed sized building whose owner “navigates a fine balancing act between a kind of nostalgic love for the old store and total indifference,” which explains the building’s current condition hovering between picturesque and dilapidated. Still, it is a rare survivor of a small, late 19th-early 20th Century rural store, once common throughout Mississippi. The store’s survival is even more remarkable since it closed in 1937. Verandah-Curlee House’s story” from the Daily Corinthian states that Michael Semmes, a descendant of Confederate Admiral Raphael Semmes, donated an antique, nearly 200-year-old pair of love seats for the house’s antebellum furniture collection. The house will reopen in March after more restoration work and the new furniture will help provide the parlor with a more authentic historic setting. Also in Corinth, the article “Building slated for renovation” states that Chris Tays, the new owner of 509 Cruise Street in Corinth’s downtown historic district, received a certificate of appropriateness from the Corinth Historic Preservation Commission in December for converting the upstairs into apartments and replacing/repairing brick around the windows. The HPC initiated a demolition by neglect action against a former owner of the building in 2013. Also up north, this time in the Holly Springs area, Isaac Chapel Road residents “are seeking registration of the old Isaac Chapel School as an historic landmark” to qualify for MDAH grant money, according to “Community Seeks Registration of Landmark” from the South Reporter. 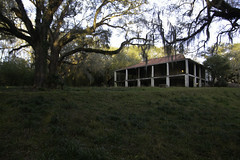 The article states that the school is believed to be the last standing Rosenwald School in the Marshall County. However, I can no reference to the school on the MDAH HRI. Someone more familiar with Mississippi’s Rosenwald Schools can tell us more about this school. “City hall renovation in final phases” from The Columbus Dispatch states that work is being completed on renovating/restoring Columbus’s historic City Hall. Columbus City Hall was designed by R. H. Hunt and constructed by W. T. Christopher in 1903. The MDAH funded and oversaw the work which has restored hardwood floors long hidden under carpeting, tile, and plywood. 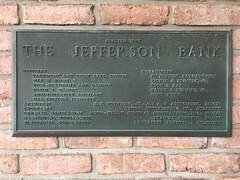 Although many incremental changes have occurred to the building in its history, this is the first complete renovation or restoration project undertaken. Eureka School, roof rebuilt, September 2013. 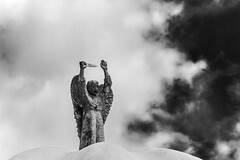 Photo courtesy MDAH, Historic Preservation Division. MDAH awarded a permit for the City of Hattiesburg to complete phase 5 of restoration work at Eureka School. The Hattiesburg American article, “Work to continue on Eureka School,” states that this phase of work will complete the historic restoration of the building, though more work will be done to convert it into the African American Heritage and Cultural Museum. Eureka School was constructed in 1921, architect unknown, as Hattiesburg’s only African American school, which it remained until 1949. After the school closed in 1987, it was used as an adult literacy center but mostly just utilized for storage. Despite severe roof damage from the 2013 EF-4 tornado, as seen in this post, it has avoided Eaton School’s fate. The Enterprise-Journal article is behind a paywall, but it appears that “after months of delaying, and facing an immediate deadline,” Pike County supervisors agreed on December 30 to spend $127,000 stabilizing Old Pike County Courthouse (Pike County Chancery Clerk’s Office) in Holmesville. I am not sure what the situation is in Pike County, but three years ago I reported that Pike County supervisors were clamoring for grant money to restore the building. The DeSoto Times-Tribune reported in mid-December that “Old Town Nesbit to get facelift.” Nesbit is a very small community in DeSoto County. A Nesbit couple, John and Lee Caldwell, have been purchasing empty buildings such as the former bank, post office, and others in an attempt to revitalize the community. The Caldwells outlined their restoration plans for Old Town Nesbit at the December annual meeting of the Historic DeSoto Foundation. The Neshoba Democrat reported, “Historic Benwalt Hotel building may soon house ministry,” that Philadelphia’s maligned Benwalt Hotel may have a new owner and new renovation plans. Current owner Amina Carter has been unable to undertake much work restoring the hotel into a cultural center since her husband’s death and has put the building on the market for $175,000. A former pastor named Chris Vowell would like to turn the building into a Christian-based ministry for his non-profit, the Mississippi Combine. The non-profit has entered into a six month purchase agreement. If the group raises the money to purchase the hotel, next comes a roofing project (which apparently did not get done when the Benwalt Hotel blew its top) and complete renovation. Meridian is in the news, which can only mean bad historic preservation news. WTOK “Demolition of downtown building complete” reports that the Old Citizens Bank Building at 2212-2214 Fourth Street has been demolished. Frankly when I saw the photographs with the story, my “spidey sense” kicked in, and I thought “This seems familiar.” No, I am not talking about the demolition of a historic Meridian building; that is far too familiar. No, three years ago, nearly to the day, I reported on the renovation of the Old Citizens Bank Building in my MissPres News Roundup 1-6-2014. Frankly, what the hell, Meridian? The building, for the first time in decades, had it original facade un-slipcovered and a plan for renovation (New Orleans-style lofts are not what I would have chosen but are better than demolition). Less than three years later, the building, with its rusticated stone arches and muscular cornice, is in a landfill. I know the news story states that the building “was not stable enough for Downtown Meridian,” but based upon past experience (Meridian Hotel, Matty Hersee Hospital, etc. ), you could get a Meridian city building official to say the Rock of Gibraltar is not stable enough for Meridian and has to come down. Also out of Meridian, the Lauderdale County Commission is debating what to do about the Lauderdale County Courthouse. 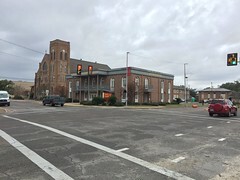 “Architect proposes 5 scenarios for Lauderdale County Courthouse” states that Commissioners are trying to decide whether to renovate the existing historic courthouse or move out of downtown to the dead Village Fair Mall. Architect Belinda Stewart has presented the Commissioners with five options, three of which involve renovating the historic courthouse at less money than moving out to the former mall; so since this is Meridian, let us watch as a historic downtown courthouse is abandoned for a dead, highway-adjacent mall. It is too depressing to end with Meridian. Some good news out of Philadelphia, “Restoring the Ellis aim of concerts” is that the Philadelphia-Neshoba County Musicians Guild and Philadelphia-Neshoba County Arts Council are beginning a new quarterly concert series, Rockin’ to Restore the Ellis, to raise money for ongoing upkeep at the historic 1926 Ellis Theater. “If you don’t put any work into the building, it’s going to be run down,” [Arts Council President Jacob] Starks said. “You have to gradually keep it up and restore it.” Amen to that. The Rockin’ to Restore the Ellis organizers “have high hopes for the event and would like to pack the house.” If any Preservation in Mississippi readers are in Philadelphia on January 28 at 7:00 PM, I am sure they will. Thanks W. White for a thoughtful update on the good, the bad, and the sad of preservation. I get so angry when I see buildings here in AZ that could be saved with just a little thought, and yet find a way to get a negative mark from the powers that be so it makes it too easy to get torn down. We are a university town so if it brings in money for the university, its okay to bulldoze. We’ve seen more than one historic neighborhood get completely ruined by an invented “overlay” change and now have several, over-ten-story ritzy apartment buildings for college students (not sure how they’re paying for the rent). It makes me very sad, and angry as hell. The houses in those districts were once drug dens that good people came in, restored, and got them back to what they looked like in the early 19th century only to have to live with kids dropping beer cans from 5 stories up (they were suspended) and the trash from the apts and surrounding frat houses. Luckily our old downtown has seen a resurgence, partly due to the same college students, with new restaurants, a few too many beer houses in old warehouses (but cool restoration), and restored concert venues. I guess we have to take the good with the bad, but sometimes my blood pressure just isn’t happy! :) Thanks for a thoughtful review of the year! Great Round-Up!!! All very informative. A note about Isaac Chapel School. From the road, it doesn’t look like much, because the big window groups typical of Rosenwald schools have been enclosed and the building has been resided. (It’s the building to the right in this Google streetview image. But when I recently walked inside the building with Mr. George Zinn, Marshall County Supervisor, it was immediately clear that it is a Rosenwald Community School Plan #3-B (http://www.historysouth.org/threeteachns-2/) and is very intact inside. The only clue on the outside is the front-gabled form and that original off-center door with the little gabled roof over it. We don’t have a record for the school yet in the Historic Resources Database because I haven’t gotten my notes together to file yet, but we do expect to refer the building to the MDAH Board of Trustees for Mississippi Landmark designation in the next month.